No more boring white rice…these SEVEN easy rice recipes are changing the game! 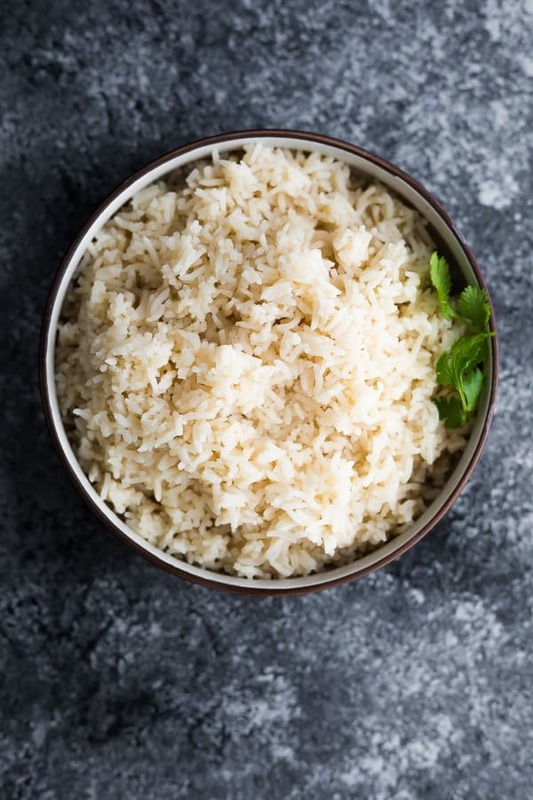 With just a few simple ingredients, you can transform your rice into a flavor-packed side dish. Is rice a staple at your house? It sure is at our house! When we are looking for an easy side dish recipe, we often turn to rice. And…well…it can get a little repetitive. So let’s talk rice…how to take it up a notch. How to add a little pizzaz. 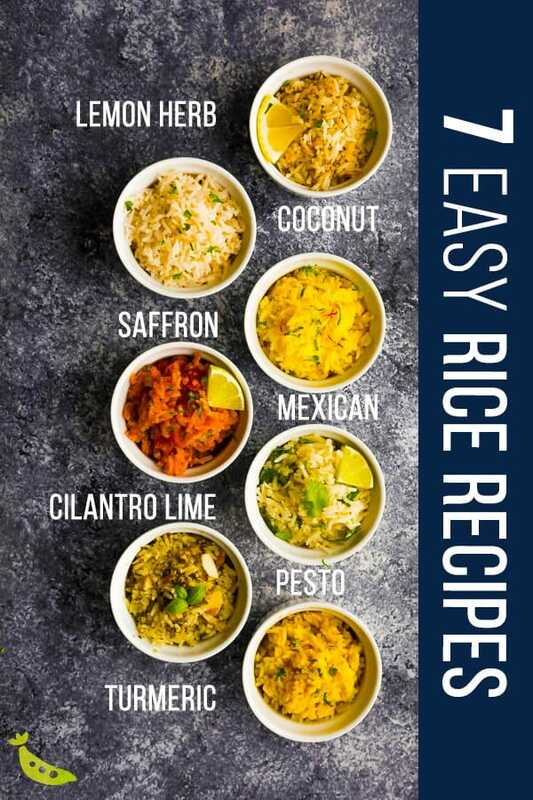 I’m sharing seven easy rice recipes! Not only are these recipes delicious, but they are easy to prep. I cut a few corners so you don’t need to chop or sautee anything! That means that you can cook these rice recipes on the stove top or in a rice cooker. HURRAY! are so much more delicious than plain rice! psst! 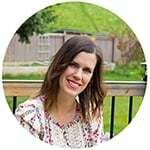 looking for cauliflower rice recipes? Check out these 7 Cauliflower Rice Recipes! NOTE- these recipes were tested with basmati rice (not brown basmati). For brown rice or other type of rice, you may need to adjust the liquids and cook time according to the package. What kind of rice can I use for these recipes? 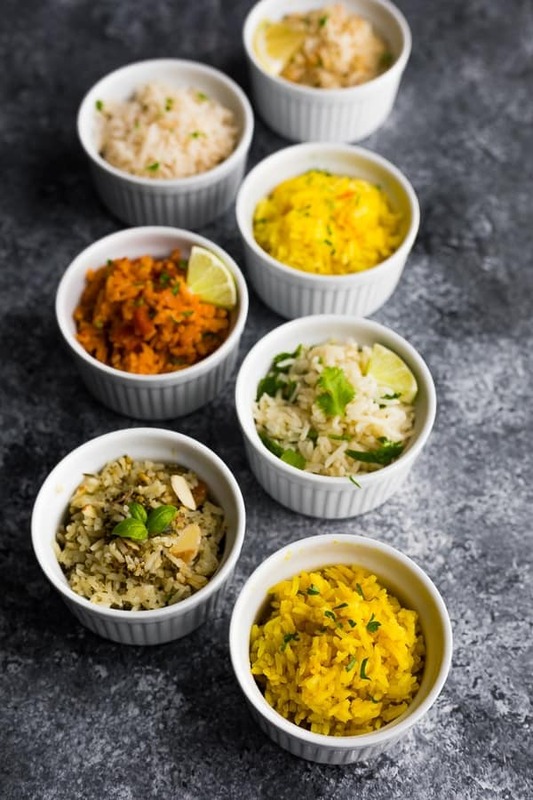 These recipes were tested with white basmati rice (not brown basmati), but you can swap for any long grain white rice. You could also swap for brown rice, although you’ll need to adjust the cook time. I do not advise using short grain white rice or par boiled/pre cooked rice in these recipes. 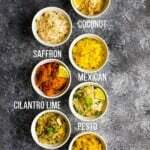 Can I cook these rice recipes in the Instant Pot? Probably, although I haven’t had the best luck cooking my rice in the Instant Pot. 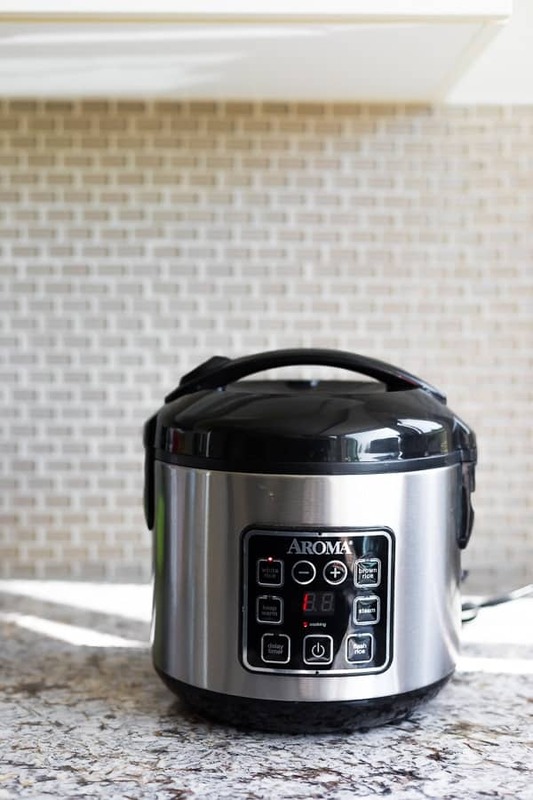 Check out this awesome tutorial for Failproof Instant Pot Rice and use the cook time appropriate for your rice. Don’t forget to reduce your liquids to a 1:1 liquid to rice ratio. Can I omit the coconut oil? Yes! You can either swap for butter or just leave it out. We really loved the texture the coconut oil gave to the rice. I recommend refined coconut oil to avoid coconut flavor. Can you eat leftover rice? Despite it’s bad rep, rice keeps well in the fridge, and we enjoy our rice for up to 4 days after cooking. To avoid risk of contamination, make sure you don’t let the rice sit out for a long time after cooking it. When serving leftovers, re-heat it until it is steaming hot, and do not re-heat more than once. find the printable herb lemon rice recipe here! 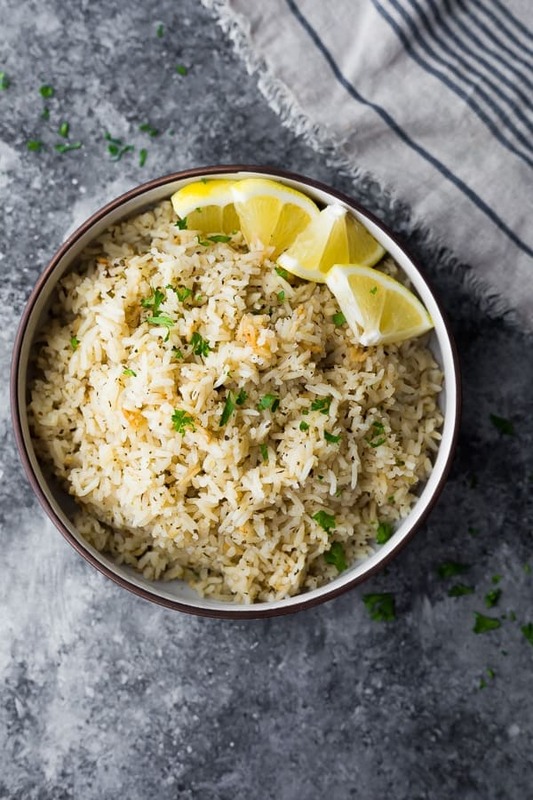 This simple recipe uses lemon zest and fresh lemon juice (added after cooking) to give a bright citrussy flavor to the rice. Basil and oregano compliment the lemon flavors. find the printable coconut rice recipe here! Adding a can of coconut milk to basmati rice gives it the best texture, and a really nice coconut flavor! This tropical rice recipe goes well with Asian or Caribbean flavors. find the printable saffron rice recipe here! Make sure you use good quality saffron for this recipe; you only need a pinch of it! Before adding the saffron to the rice, we soak it in 1/4 cup of boiling water for 5 minutes…this helps the color and the flavor diffuse through the rice. 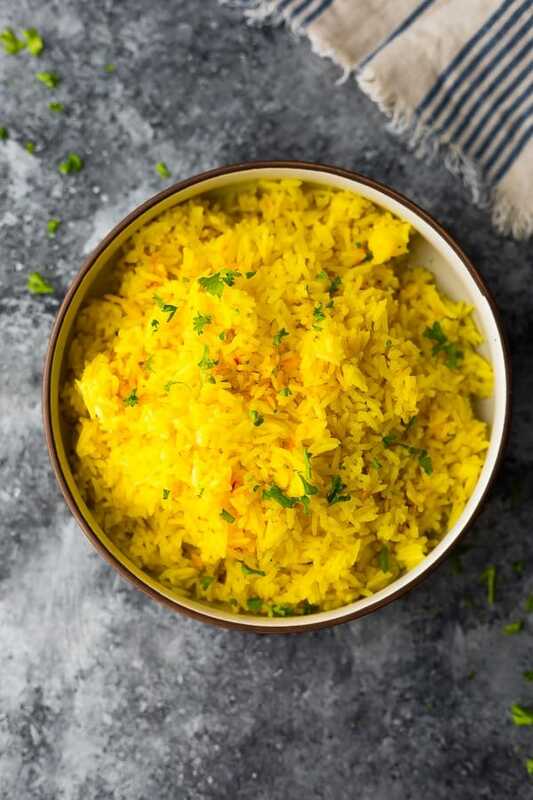 Saffron gives basmati rice a really nice flavor (why is it so hard to describe how saffron tastes? Can anyone help me out here? ), that goes well with middle eastern flavors. find the printable Mexican Rice Recipe here! Soooo this is not traditional Mexican rice, at all. While I love the flavors that traditional Mexican rice has, I dislike the chopping and the sauteeing. So for this recipe, I took a drastic shortcut and subbed with some jarred salsa…and really loved the flavor it had! 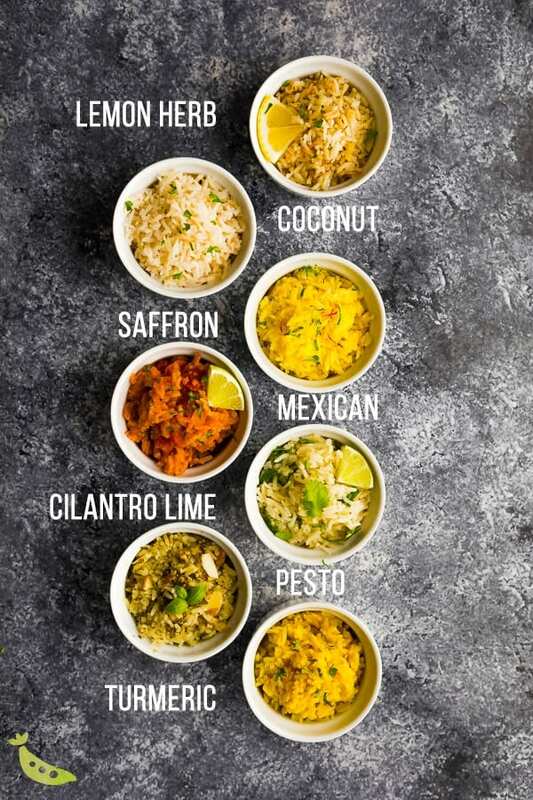 find the printable cilantro lime rice recipe here! 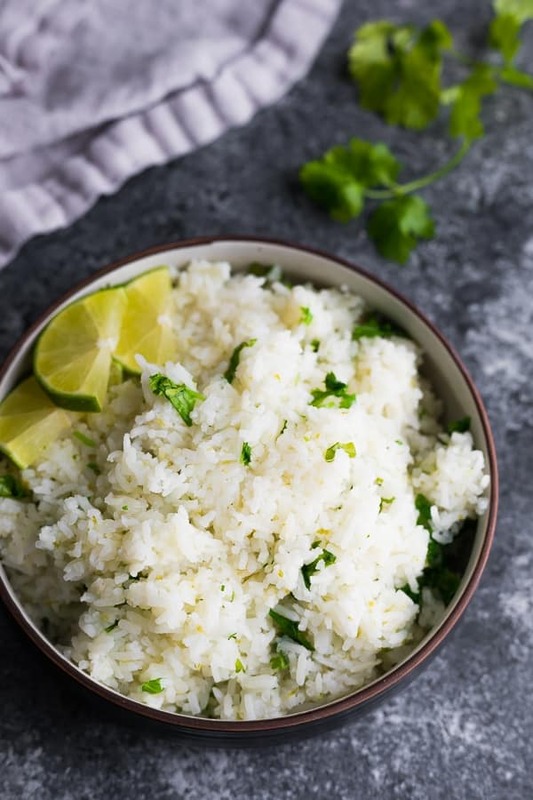 The combination of fresh cilantro and citrussy lime is so delicious in this easy rice recipe. This is perfect with Asian or Mexican flavors. Grab the printable Pesto Green Rice Recipe here! 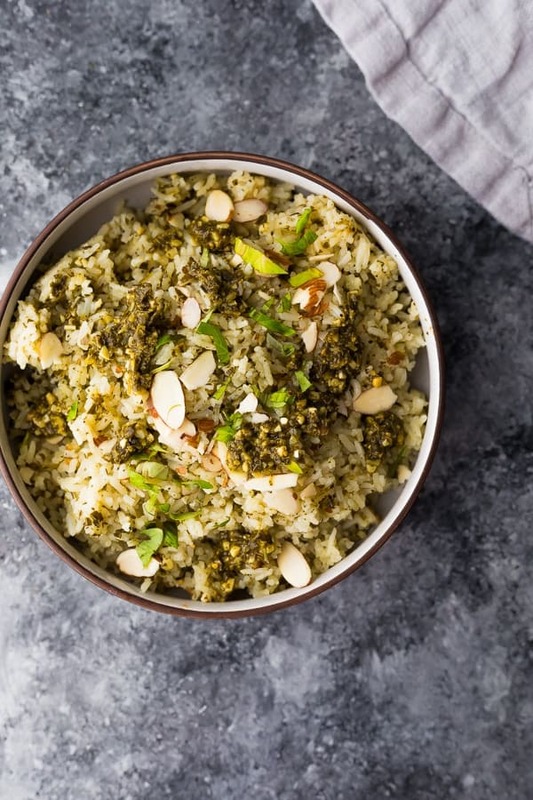 This pesto green rice is easy peasy! Simply cook your rice with a bit of pesto and serve with fresh herbs and almond slices. This pesto green rice recipe goes well with Italian flavors. 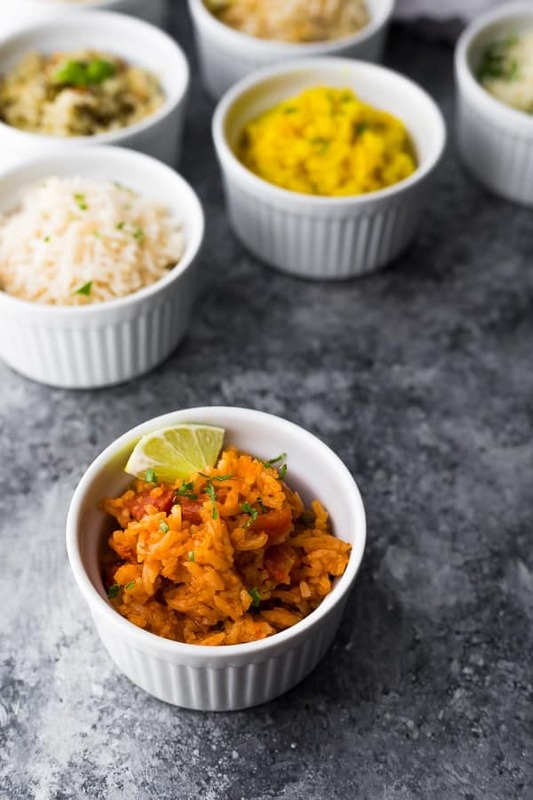 find the printable turmeric yellow rice recipe here! Looking for more ways to use the anti-inflammatory powerhouse turmeric? Why not add it to your rice? A bit of onion powder, garlic powder and ginger round out the flavors. 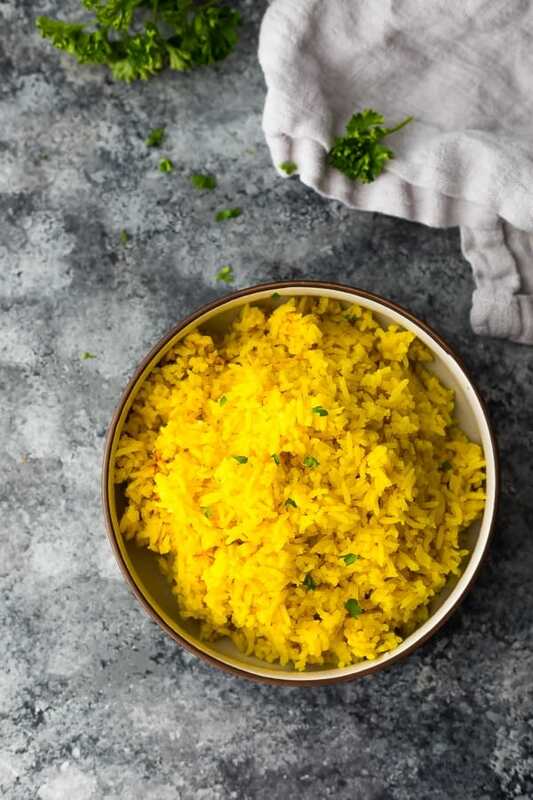 This turmeric rice recipe goes with lots of flavors, especially Asian flavors. 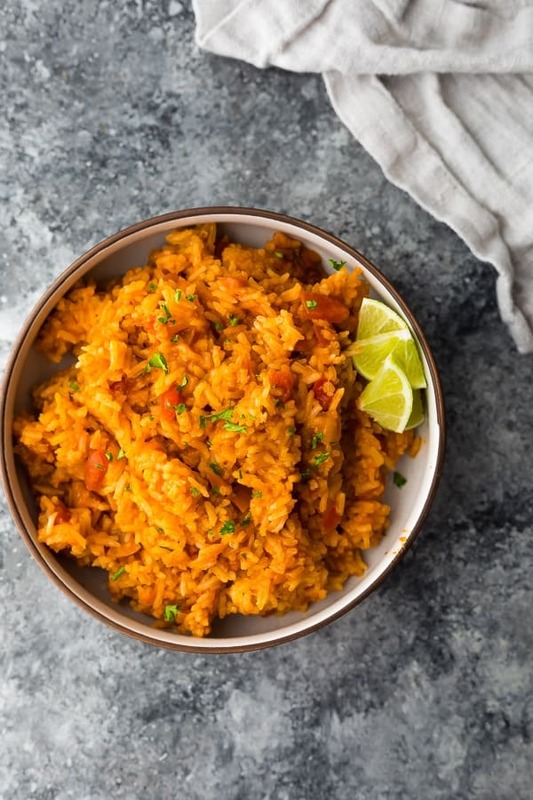 No more boring white rice...these SEVEN easy rice recipes are changing the game! With just a few simple ingredients, you can transform your rice into a flavor-packed side dish. find the printable pesto green rice recipe here! In a medium pot, combine the basmati rice and all other ingredients not marked 'after cooking'. Remove from heat and let sit for another 10 minutes before adding the ingredients marked 'after cooking' and stirring up. Combine the basmati rice and all other ingredients not marked 'after cooking'. Once the cook time is up, stir in the ingredients marked 'after cooking' and stirring up. Hi Angela! So happy you enjoyed, and thank you for sharing your experience! Can these recipes be doubled? Hi Amy! These recipes can definitely be doubled, although if you are using a rice cooker it will depend on the model as to how much will fit. My rice cooker fits max 1.5 cups uncooked rice. For stove top/pot, it will work great! There’s no liquid in the pesto recipe.